Sometimes, we reach a point in our lives when we question the judgments and decisions we made when we were young – tattoos, for example. Getting a tattoo can be done on impulse only to realize months or years later that you’d rather go without it. Fortunately, tattoos aren’t forever. Nowadays, you can get them removed whenever you want to. Tattoo removal, from the name itself, is a process of removing an unwanted tattoo through laser surgery (the most common method), surgical removal, or dermabrasion. After you have undergone a tattoo removal, the process actually does not just end here. Your skin will go through the healing process. It is important for you to know the things that are expected to happen during this time. In most cases, you will still feel some discomfort and mild pain for about a week or two after the tattoo removal. 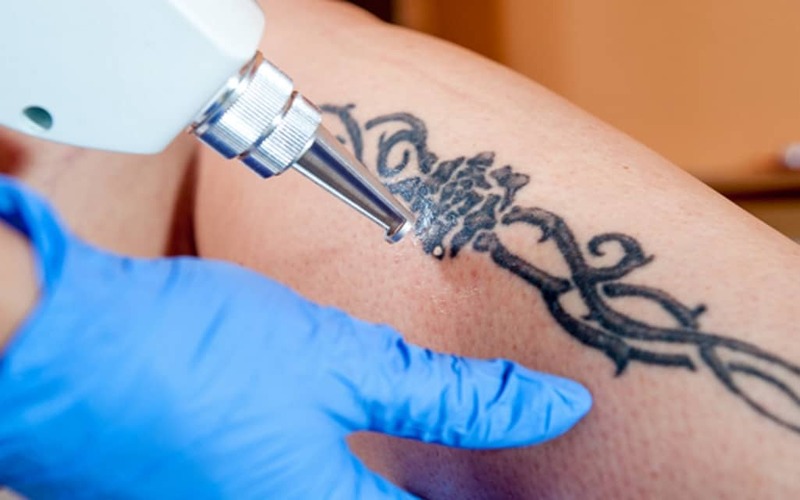 For example, laser tattoo removal is like having a superficial skin wound; thus, it is completely normal to experience minor pain in the treated area. Patients usually take pain relievers like Tylenol after the treatment. You can also apply a healing balm to the treated area in order to quicken its healing process and soothe the irritated skin. The healing period usually takes 4 to 6 weeks. Aside from pain, you will also notice visible side effects on the treated area, such as bruising and scarring. If you have these effects, do not freak out because they are pretty common after tattoo removal procedures. You may also see your skin looking pink or pale for a couple of days. Pigmentation or mild skin discolorations can also happen, but they will most likely pass just like any other side effects. It’s completely understandable to feel uncomfortable and anxious about what is happening on your body, but just remember that these are your body’s way of showing that it is responding to the treatment. On the first few days of your treatment, your treated skin will feel tender. A bandage will also be placed to cover the area, so don’t do anything to disturb the treated site. Moreover, do not jump into a shower or a bathtub after your session. Give it at least 24 hours before you expose it to water. Blisters can also form on the treated area on the first three days after the laser removal procedure. If that occurs, just leave them be. They will just turn to scabs afterward, which will normally fall off on the 2nd or 3rd week following your treatment. The removal of tattoos does not take only a single session. In fact, you will need at least 12 treatments to remove any professionally done tattoo. So, after your first session, don’t go thinking that you won’t be back for another one, because most likely, you will, especially if your tattoo is a stubborn one. Also, say, you had a tattoo removal session yesterday, so you decided to go back again three days after. Nope, that is not how it works. Laser tattoo removal treatments are done 4 to 6 weeks apart depending on the healing period of your body. Therefore, eight sessions would take you around a year. Talk to your doctor/specialist about the treatment schedule so you can plan your activities well. The treated area is under trauma, so avoid exercising up to 3 days after the treatment as much as possible. Any strenuous movement can increase blood flow into the area and can result in irritation. Relax your body and give it time to heal. Knowing what to expect after a tattoo removal treatment will help you prepare yourself and make a better decision on whether to go ahead with the procedure. While most people who had undergone laser tattoo removal were pretty satisfied with how their skin turned out afterward, it is still essential to know the side effects and complications that may arise. To ease your anxiety and help you make a sound decision, carefully pick a clinic that will give you the best tattoo removal treatment. Visit the clinic’s online site if there’s any, learn about their services, and read the reviews. Use the guide above to ease your way into recovery.